Constantin BOGDANAS, First Prize of the National Conservatory of Music of Bucharest, settled in Paris in 1979. He was then the solo-violin of the Philharmonic Orchestra of Radio France and later of the Colonne Orchestra. 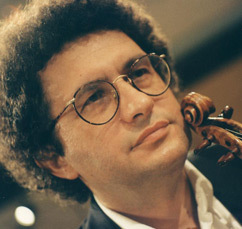 First Grand Prix in the International Chamber Music Competition in Paris, laureate of the Tibor Varga International Competition , he manages his career equally as a soloist and as a chamber musician, notably being a founding member of the prestigious Enesco Quartet .